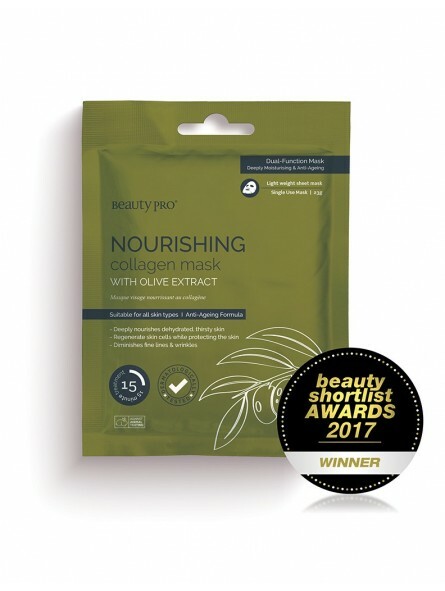 Beauty Pro Rejuvenating Collagen Mask 23gr. 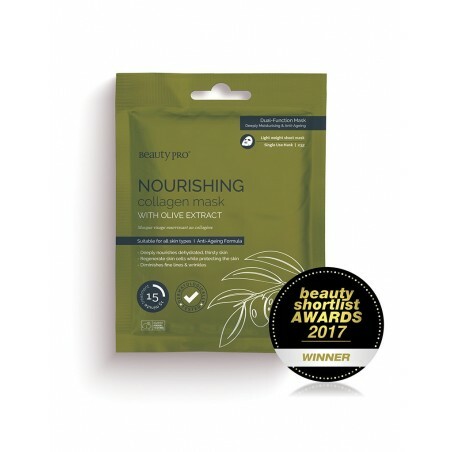 Anti-ageing formula that combats fine lines, wrinkles, sun-damage and dull skin while improving skin clarity, rebalance uneven skin tone and diminish pigmentation resulting in soft, supple skin with a youthful glow. Instructions: emove mask from packaging, unfold and place on face wear for 15-20 minutes, remove mask, there is no need to rinse your skin, excess serum can be applied to neck and décolletage. Ingredients: Marine Collagen, Vitamin-C, Aloe Vera, Extracts of Bearberry, Licorice Root, Portulaca Flower, Sophora Angustifolia Natural Plant Extract, Chamomile, Boswellia Serrata Plant Extract, Pomegranate, Witch Hazel.